The Power of Nightmares is Adam Curtis’ documentary series about the use of fear for political purposes. 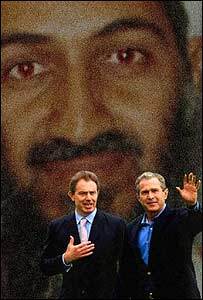 It first aired on BBC Two in the Autumn of 2004 as a series of three one hour documentaries questioning whether Western concerns over terrorism and the threat of al-Qaeda were exaggerated by politicians seeking to maintain their power and authority. The three part series assesses whether the threat from a hidden and organized terrorist network is an illusion. Should we be worried about the threat from this terrorist organization or is it simply a phantom menace being used to prevent the erosion of our faith in government? Part one, examines the origins of the neo-conservatives and the radical Islamists in the 1950s. The Power of Nightmares examines whether the belief that the West is threatened by a hidden and organised terrorist network is an illusion. At the heart of the story are two groups: the American neo-conservatives and the radical Islamists. Both were idealists who were born out of the failure of the liberal dream to build a better world. These two groups have changed the world but not in the way either intended. Together they have created today’s nightmare vision of an organised terror network. This is a useful illusion which politicians have found restores faith in their leadership during a disillusioned age. After nearly 10 years of fighting, Soviet troops pulled out of Afghanistan.Long before 9/11, he would have been seen by neo-conservatives in Washington as one of their foot soldiers, helping fight America’s cause. Both the neo-conservatives and the Islamists believed that it is they who defeated the “evil empire” and now had the power to transform the world. The final episode explores how the illusion was created and who benefits from it. 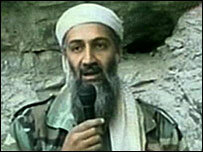 In the wake of the shock and panic created by the devastating attack on the World Trade Center on 11 September, 2001, the neo-conservatives reconstructed the radical Islamists in the image of their last evil enemy, the Soviet Union – a sinister web of terror run from the centre by Osama Bin Laden in his lair in Afghanistan. There are dangerous and fanatical individuals and groups around the world who have been inspired by extreme Islamist ideas, and who will use the techniques of mass terror – the attacks on America and Madrid make this only too clear. 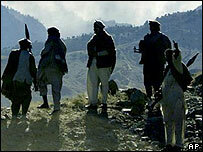 Wherever one looks for this al-Qaeda organisation, from the mountains of Afghanistan to the “sleeper cells” in America, the British and Americans are chasing a phantom enemy. But the reason that no-one questions the illusion is because this nightmare enemy gives so many groups new power and influence in a cynical age – and not just politicians. This video may contain copyrighted material. Such material is made available for educational purposes only in an effort to advance the understanding of human rights and social justice issues and is distributed without profit to those who have expressed a prior interest in receiving the included information for research and educational purposes. This constitutes a ‘fair use’ of any such copyrighted material in accordance with Title 17 U.S.C. Section 107 of the U.S. Copyright Law.